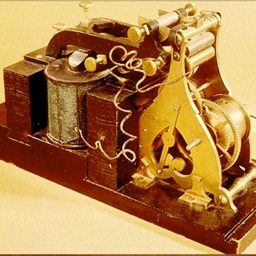 Remember when you couldn’t reach your phone to send that text, and talking aloud wasn’t an option? 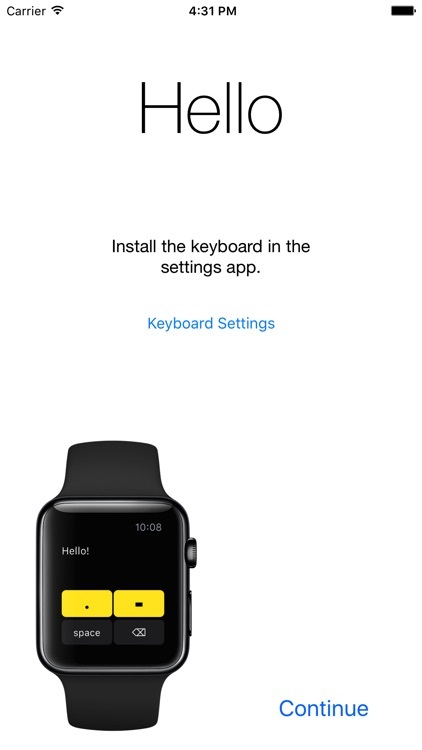 That’s why we made this app; for the occasional texts that require a keyboard on your watch. 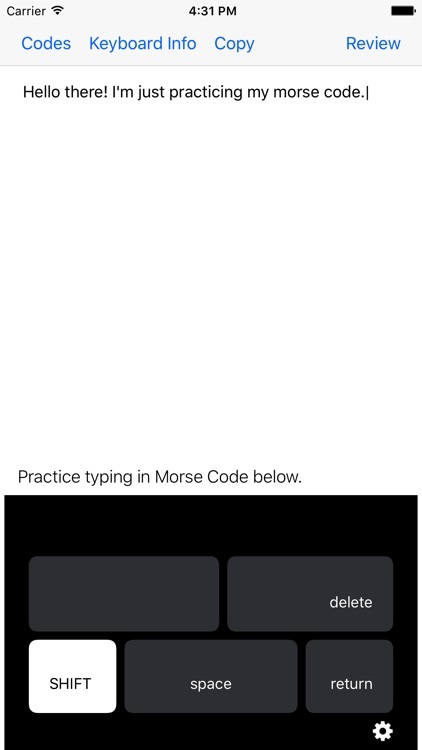 Whether you know morse code or you plan on learning it (there’s a cheat sheet in the app), we know you’ll love typing on your wrist. 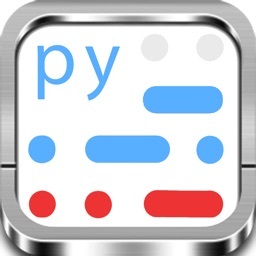 Don’t have an Apple Watch? 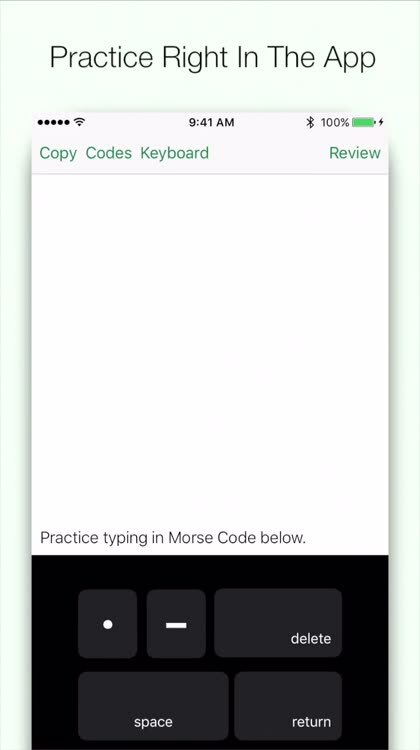 Install the included keyboard and you’ll be able to type in morse code using dits “.” and dahs “-“ in any app on your iPhone or iPad. 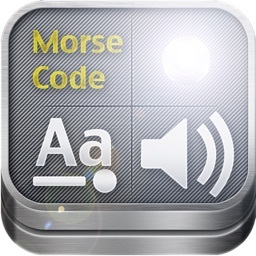 Download Morse Code Keys now so you can improve and maintain your skills! - Single Key Mode available in settings. 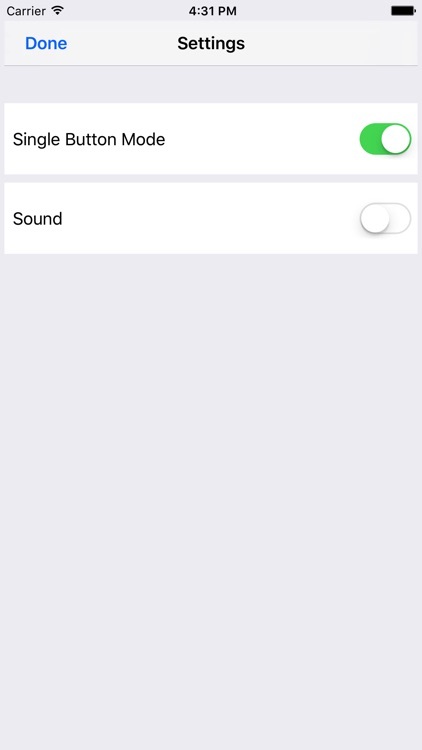 - Disable the sound effects in settings. 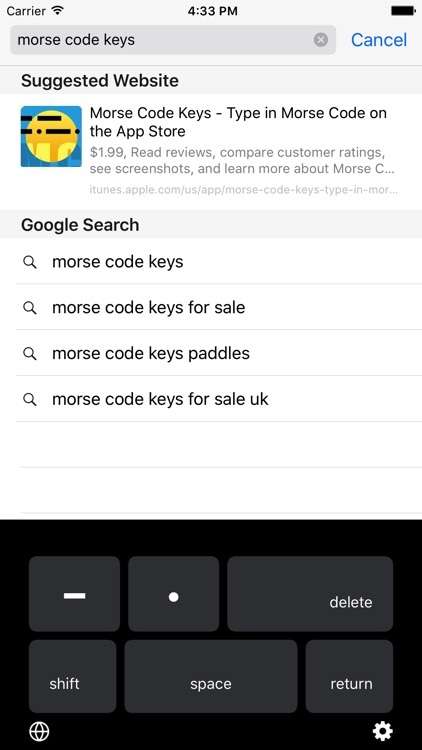 - Morse Code Keys also works on your Apple Watch. 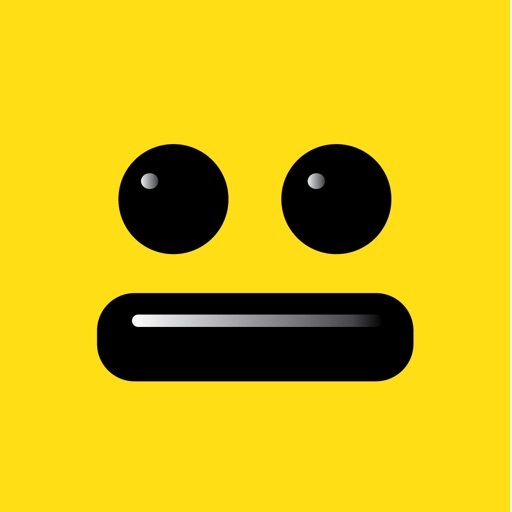 - Auto Complete for iPhone & iPad. 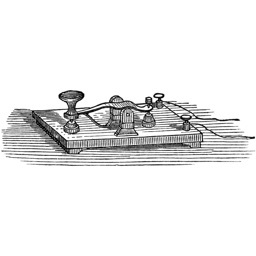 Do you have ideas to make morse code keys even better? Let us know! 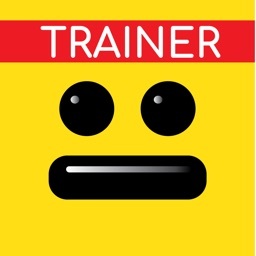 Most of our new features come from suggestions made by users like you. This keyboard includes a space bar (as well as a backspace). While it does have a Single Key mode, that mode also has a space bar. 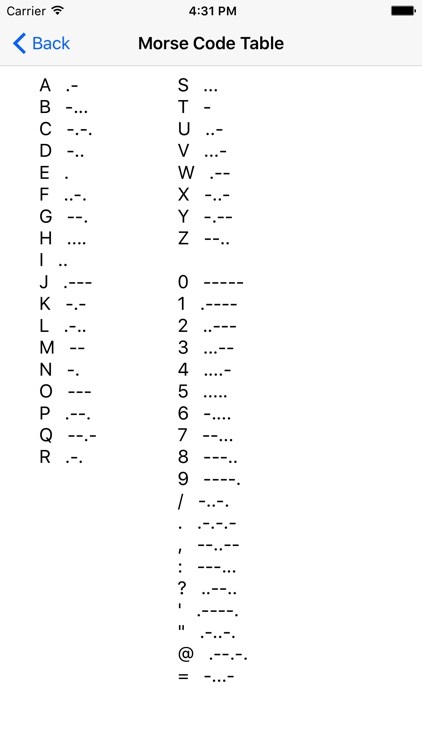 This is to make Morse Code accessible to everyone.